Over the past two decades I have been fortunate enough to work within a field that I am passionate about – medical management. Along the way I have written and edited three books whose purpose is to make the journey into this field easier and more successful for others. The names of these texts are – Population Health: Creating a Culture of Wellness (Second Edition - Copyright 2016) - Total Care Management: A Physician Executive’s Guide to Medical Management for the 21st Century (Published Fall 2000) and A Physician’s Guide to Patient Management for the 90’s and Beyond (Published 1995). 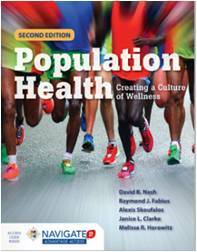 I wrote the latest book Population Health with the Dean of the new School of Population Health at Thomas Jefferson Medical School and was appointed a Senior Fellow there. This book now in its second edition may be the first textbook in the field and was written to meet the needs of the first students to matriculate through of the new school. The book has many contributing authors who make up the thought leadership in this space including Drs. Sidorov, Prochaska, Loeppke and Edington. I am proud of its wide use by graduate and medical school programs across the globe. For those of you interested in treating whole populations of people in an efficient and effective way this book is a must read. It will provide you with a great understanding of the state of the art; balancing the tactical with the strategic. It will take the reader from health policy to its operational application. Dr. Fabius along with Sharon Frazee PhD chronicles the history of workplace health in Chapter 3 of t his textbook. Emphasis is placed on the migration of workplace health from purely traditional occupational health and safety to providing full service population health services. It features the use of the worksite for health promotion. The four key value propositions are discussed - workplace safety, quality care, cost containment and employer of choice. The chapter concludes with what the future offers in workplace health. For organizations presently providing workplace health services or for those contemplating doing so this chapter and in fact this book can be helpful. Disease management programs have demonstrated to us just how difficult it is to engage and retain people in worthy medical interventions. Lifestyle change programs such as weight management and smoking cessation brag about long term success percentages of 15-25%. Placing trusted clinicians at the workplace who go to work every day with their patients can produce better results that telephonic or web-based efforts. In fact when coordinated with community medical resources they can produce best practice results. Therefore on-site and near site health centers offer the promise of not just treating episodic illness efficiently and effectively but also reducing the illness and health risks of employee populations along with their dependents and retirees. To read more about this book and to purchase, click here. Dr. Fabius wrote Chapter 18 with Dr. Lawrence W. Osborn entitled the Integration of Primary Care with Managed Behavioral Health Care. This chapter highlights the importance of treating the whole patient using medical and behavioral health services in collaboration. It reports on efforts that have demonstrated effectiveness as well as practical present day challenges. The recognition of the interplay of the mental status and medical condition is emphasized. Examples such as depression in chronic illness, somatic conditions and the need for basic primary care in the dysfunctional population are all discussed. Throughout my career I have been keenly interested in eliminating the space between medical and behavioral health treatment. As a primary care provider I was convinced that the majority of patient visits were complicated by a behavioral health issues. Often my pediatric patients with headache and stomach ache were dealing with stressful situations such as school performance anxiety or divorce. As a physician executive who has been challenged to provide successful disease management programs I have been impressed by the percentage of chronically ill patients who have depression as a co-morbidity. Without treating this first it is difficult to engaged them in the care of their other conditions. Recent studies show that people with severe psychiatric illness die decades earlier than others. This suggests the need to improve the medical treatment and health status of the mentally ill.
From speaking engagements to assisting in implementing your company's strategic plan, I am here to help. Click here for more information on all of my services. Learn more about my Award Winning book and how I am a "doctor's doctor!" I would like to share this hobby of mine with you. 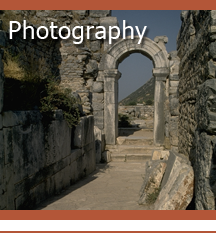 Click here to view some of my personal collection of photographs from around the world. Copyright © 2009 Ray Fabius MD, LLC. All Rights Reserved.